Yesterday, I noticed my ducks aimlessly wandering around the yard, which isn’t supposed to happen – I shut their run door. Yet, there they were, happy as clams, playing in the horse waterers. 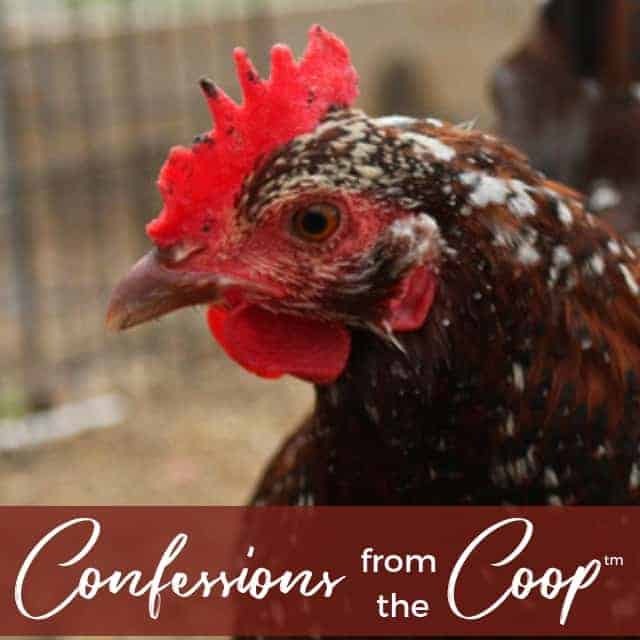 When I checked the coop, the door was open. Don’t ask me how. CAPTION THIS: What are these ducks seeing? ?? It looks like it's super shocking from the look at Mr. Tuxedo duck's face. Show me your most witty lines below! But here’s what’s funny: NONE of the chickens bothered to escape! LOL! They must be happy in their coop, if they don’t want the sweet taste of freedom when it’s offered! They got extra black soldier fly larvae as a treat! I think this year, every chicken on the farm has decided to molt. There’s feathers EVERYWHERE. I’ve been putting out the Fluffiest Feathers Ever! like mad because while the warm weather usually lasts through October here, it’s been such a weird year, that I don’t want them to get cold if it suddenly decides to snow! We’re having a lot of fun picking up feathers. One of the roosters is a barred rock, and very beautiful. I have no idea what we’ll do with all these feathers, but I’ll think of something! My girl Grace wants to remind you that today is the LAST DAY to save $20 on the MitesBGone & PestsBGOne super bundle – so speak now or forever hold yer peace. In the photo you see her enjoying MitesBGone. She loves it, and your hens might too! I got my hatching eggs in, and the incubator has been fired up! And I couldn’t resist….I stuck some duck eggs in there. The ducklings have feathered out, and they’re very beautiful. I couldn’t resist trying for more! We definitely have a mix of male and female, so next spring, I’m going to have to bring in a couple new drakes and hens to keep the gene pool diverse. In the incubator, we have a GREAT mixture. Some are my barnyard mix (it’s always fun to see what those chicks look like) and some purebred lavender orpingtons, silver laced polish bantams, russian orloffs, and a couple others. I’m probably going to build additional runs and coops for the pure bred chickens, and possibly bring in some outside blood from a second breeder. Chicken Mama Jen shared this fantastic coop photo in our group and I wish I live there! What lucky chickens! What do you think?